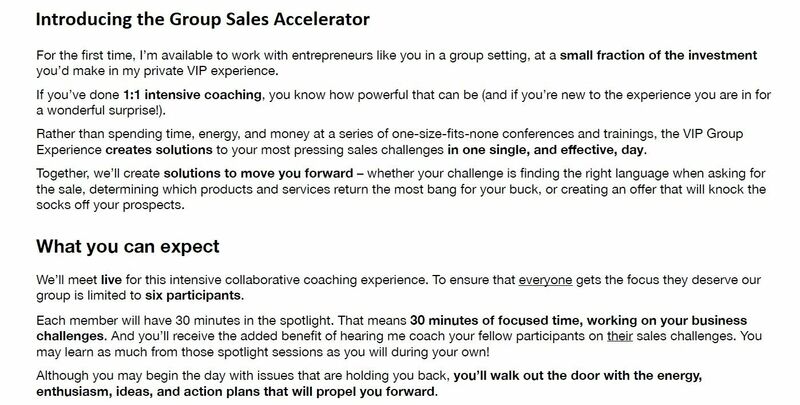 Register now for the Group Sales Accelerator. Your investment of $595 per session is payable at the time of registration. And your session includes lunch — on me! Our next accelerator is scheduled for Thursday, May 16 in the Seattle WA area!